As I explore more and more small business brands, I began to notice a growing trend in product offerings: shampoo bars. The notion intrigued me for several reasons — but mainly because my memories of bar soap on my skin were not the fondest. Using bar soap, my skin always felt dry and a little itchy. Would those same results occur with the myriad of shampoo bars on the market today? And furthermore, are shampoo bars a viable alternative to regular shampoos for natural and transitioning hair? Let’s explore. 1. They are cost‐effective. Most shampoo bars cost under $10 (with the majority hovering in the $5 — $7 area), and last 2–3 months or longer. They can be safely stored in Ziploc bags or travel soap dishes (about $1 at Target) between uses. 2. They are great for travel. How many times have you heard about (or personally experienced) having TSA discard your beloved hair products because the containers were too big? Or even worse, having liquid‐y product burst and spill in your luggage? Shampoo bars are the perfect cleansing travel companion. 3. They are gentle on hair and sulfate‐free. That’s right, shampoo bars don’t contain any sort of sulfates whatsoever. They are oil‐based, and therefore not drying (we’ll talk about formulating shampoo bars in a second). Some of the most popular oil‐bases for shampoo bars are coconut, palm, olive, safflower, and castor. So why exactly are shampoo bars so amazing, and what makes them ideal for natural and transitioning hair? To get the scoop on the sudsy bars, I consulted with Obia Ewah, Founder of Obia Natural Hair Care. According to Obia, shampoo bars are less stripping than tranditional shampoos because they are normally formulated with oils that are saponified. Unlike traditional shampoo, they do not contain sulfates or detergents. Because harsh detergents are not used, they are a less stripping and gentler than traditional shampoo. So umm, what does “saponified” mean again? Obia further broke it down — explaining that saponification is the name of the reaction that occurs between the oils and lye used to make the shampoo bar. Saponification is also known as the reaction between fats (oils) and a base (sodium hydroxide a.k.a. lye). Oh, so there’s lye in shampoo bars? I thought we left that behind with our relaxer kits? Don’t be alarmed. Obia is a trained chemist, and if there’s anybody’s word I trust, it is hers. As she explains, the truth is that shampoo bars do not contain lye. Although lye is used in the beginning of the soapmaking proess, there is no lye in the finished shampoo bar due to saponification. When lye is evaporated from the soap, the soap is now “cured”. In fact, the byproduct of oils and lye is soap and…glycerin! Yes, the same moisture‐attracting humectant that many naturals and transitioners know and love. 1. AfroVeda Carrot Seed Clarifying Shampoo Bar ($6.75) — This shampoo bar has TONS of slip, making detangling super easy while clarifying scalp and strands. Leaves hair feeling super clean without drying it out. Packed with beta carotene and Ayurvedic herbs, this bar also stimulates the scalp and promotes growth. 2. Hairitage Hydration Apple Cider Vinegar Shampoo Bar ($8) — They had me at Apple Cider Vinegar. This apple orchard smelling shampoo bar is super slippy, but packs a powerful clarifying punch without the dryness that can come from apple cider vinegar rinses. Formulated with Bragg’s Apple Cider Vinegar, honey, and soy bean protein, this shampoo bar cleanses, moisturizes, and strengthens. 3. Obia Natural Hair Care Coconut Shea Shampoo Bar ($10) — The first poo bar I fell head over heels in love with. Super slippy, great lather, but leaves hair feeling ultra moisturized. Also contains rosemary essential oil for stimulating the scalp, and soy bean protein for strength. 4. Soultanicals “Honey I Shrunk the Frizz!” Strand‐Poo Bar ($5) — Super sweet and gentle cleanser with a nice amount of slip, lather and moisture. Contains honey for extra moisturizing, and soy bean protein for strengthening. 5. Senica Naturals Senk Shampoo Bar ($12) — Creamy lathering bar with great slip that leaves hair super soft. Packed with rosemary extract, geranium oil, bay rum oil, carrot seed oil, and more to nourish and stimulate the scalp. 6. Purgasm Shop Cocoa & Yogurt Bar ($7) — I almost took a bite of this shampoo bar. Creamy chocolate‐smelling goodness combined with super moisture and shine make this bar a winner in my book. Boosted with argan oil, honey, and silk aminos, this shampoo bar nourishes both hair and scalp. 7. Hydratherma Naturals Buttery Shampoo Bar ($9) — Smooth and creamy bar with tons of lather and moisture. Leaves hair soft and shiny. Calendula and St. John’s Wort extracts give this bar a boost in the conditioning and growth stimulating department! 8.Brown Butter Beauty Rhassoul Herbal Tea Shampoo Bar ($8) — Super slippery, gentle cleansing bar that leaves hair extra soft and makes detangling a breeze. This bar made my curls pop, thanks to Rhassoul , and packed my hair with nutrients while soothing my scalp thanks to burdock, neem, nettle, chamomile, and more. 9.Ynobe Shop Silky Shea & Clay Shampoo Bar ($5.75) — Packed with both Rhassoul and Kaolin clays, this shampoo bar is guaranteed to gently detoxify strands while nourishing them with minerals and oils. 10. Tree Naturals Green Tea & Coconut Conditioner Bar ($13) — When I found out this bar was actually conditioner, I got excited. What could be better than a cowash with a bar? This fresh conditioner bar is super creamy and formulated with natural hair loving fatty alcohols, shea butter, cocoa seed butter, green tea, and more. It leaves hair super soft and shiny. Lastly, to get the most out of your shampoo bars, make sure you pat them dry with a paper towel after each use. Store them in a cool dry place, in a container or bag that can be closed/sealed to preserve it for as long as possible. Nothing fancy needed here — just a Ziploc bag or Target travel soap dish (around $1) will do. Alternatively, you can cut your shampoo bars into smaller squares, storing unused portions in a Ziploc bag until you’re ready to use them. This way, only a small part of your bar gets used at a time! So, are you convinced to try shampoo bars? Why or why not? If you have already, what are some of your favorites? I would like to know if shampoo bars are PH balanced. From the research i made, they all have very high PH due the lye used during the process. My hair is high porosity and it makes shampoo bars unattractive to me. …Although lye is used in the beginning of the soapmaking proess, there is no lye in the finished shampoo bar due to saponification. When lye is evaporated from the soap, the soap is now “cured”. In fact, the byproduct of oils and lye is soap and…glycerin! This was in the article if that helps. Oh, wow, thank you so much for sharing! What about conditioner bars? All shampoo bars and conditioner bars have high PH due to sodium hydroxide that is added during the process of soap making, even 7.5 is too high. Yes, it does help a lot when one follow up with an apple cider vinegar rinse. I personally don’t like the smell of apple cider vinegar and it makes my already dry 4c hair, even more dry. To all the ladies out there who are interested in shampoo bars and conditioners and their PH level, Please go to Google and type.…. WHAT IS THE PH LEVEL OF SHAMPOO BAR SOAPS. You will find a lot vital information and a more detailed explanation. Nothing a little rinse with diluted ACV can’t resolve, Ms. Hysteria! What about natural shampoo bars? can they be made without using sodium hydroxide? No, you can’t make soap without sodium or potassium hydroxide. But once the soap cures there is no lye is the finished product. I’ll take a natural soap over chemicals detergents any day. 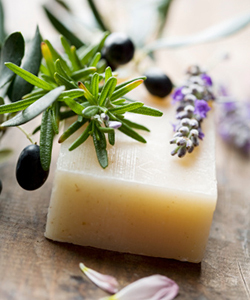 A properly made and cured soap bar is so natural you could even wash your dishes with it. My only issue is the hard water where I live and it makes an acidic rinse (ACV or aloe) necessary. I’d like to see some sources for this info. Furthermore, I feel that we all should keep in mind that plain water has a pH of 7…and that most mainstream soaps/shampoos have a pH from 7.5–8. I’d also like to add that I use African Black soap on my hair with no issue. I would like to add my two bits if you please…whether or not you are using sodium hydroxide or potassium hydroxide to make shampoo bars or liquid soap, you still need a strong base, soap is soap. I, personally, love my shampoo bars (esp aloe vera and beer and silky protein…awesome suds!) and I think lifting the cuticle is good for cleaning the hair and allowing moisture (water) to penetrate. All I do is rinse with cool water afterwards and that seals my cuticles: clean hair, moisturized hair, sealed cuticles, no problems. What about Lush, do you have one in Oslo? Thank u to the ladies who urge us all to do our research regarding ingredients that we put onto our hair! I have been using various shampoo bars by Chagrin Valley for the past year and follow each shampoo with either an ACV rinse or moisturizing DC. I’ve been using the basic bar of black soap shampoo occasionally for a couple of years and my hair likes it. I like it because it is inexpensive and easy to take when traveling. I might look for the conditioner bar, too. great comments everyone…my hair is really sensitive to pH and hates ACV so I’ll probably be skipping this. I can’t do it‐ not because of ingredients but‐ because my hair gets to tangled when cleansed that way. maybe I’m doing it wrong, but I tried it once and absolutely cannot try it again! It has lots of good for your hair stuff in it. My hair is dry and it leaves it very soft to the touch. I feel like I could add leave‐in condish, oil and butter and run. All this talk about Ph levels and porosity is giving me a flippin headache! All people want to do is open a bottle and pour it on their head not be faffing about with strips and having to worry that they are not burning out their head! I’ve been natural for five years, My hair also has a high porosity so it took a while to find a good shampoo bar. I used to buy chagrin soaps but they are a bit pricey. I found Belle Vie Soaps on etsy and now that’s all I use. The prices are reasonable and the quality is way better. My favorite shampoo bars are Chagrin Valley Cafe Moreno shampoo bar and HennaSooq Cocoveda shampoo bar. They both are excellent for my hair. I don’t have hard water, so I don’t need to do any kind of ACV rinse. However, I do follow with conditioner. No problems with PH level and they are gentle on my scalp and hair. I am a soap maker and recently made rhassoul shea shampoo/soap bars. They turned out great and I followed with a very mild ACV rinse and aloe vera leave‐in followed with shea buter to seal in moisture. I only use shampoo about once a month and wash weekly with ACV and herbs. Because of this gentle routine my hair is in the BEST condition ever! I highly recommend at least trying shampoo bars followed by either ACV or aloe vera. If you don’t like it for your hair you can at least use the bar as soap. Hi. This post is pretty useful for me. I’m running a website related with shampoo for natural, free chemical. I want to write a post about this website for my customer! It will be cool. I will drop by often! I’ve been using Shea Moisture African Black Soap Bar. It’s GREAT! I use it not only for my hair but my face and body as well. It works great for clearing blemishes and acne as well as cleansing my scalp. It only costs about 5$ from Rite Aid. Bobeam shampoo bars are great too. My new fave way to clean thoroughly without stripping! Also check out shampoo bars from http://www.puresheastore.com/. They make all of the products on their site.